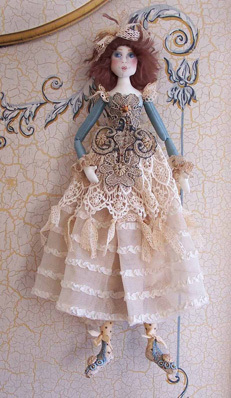 Prilly stands at about 17" tall and is a fun and whimsical cloth doll. All cloth construction with a frilly dress and sassy hand painted face. All cloth doll basics are taught as well as face creation on woven cotton fabric.